Hoover set the tone in 1984 with a 21-19 over GlenOak in Week 2 and a 19-8 win over McKinley in Week 4. Another defining win came in Week 6 with a 20-16 victory over Perry. Hoover regrouped and dominated the rest of the game. 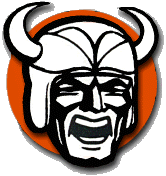 When the playoffs began, the Vikings destroyed Lorain Admiral King and Mayfield by a combined 70-6. “Once we got out of the Federal League and away from teams that knew what we liked to do … we ripped into them,” Schick said. A last-second field goal by Toledo St. Francis, though, ended their season with a loss at Ohio Stadium. • The Vikings shared the Federal League title that fall with Perry, both finishing 6-1 in the league. • Four Vikings earned a spot on the 1984 Repository AAA All-Stark County football team — WR Steve Schick, QB Mike Braucher, LB Shawn Zimmerman and DB Andy Logan. • Ed Glass was The Repository Coach of the Year. • Schick was named first-team All-Ohio; Braucher and Logan made second-team All-Ohio. • Braucher ran for a score and threw TD passes to Jim Wood and Doug Portman in the 30-0 state semifinal win over Mayfield at the Akron Rubber Bowl. Logan added a TD run and a 30-yard field goal. • In the state finals, St. Francis took a quick 14-0 lead in the first quarter, then Hoover rallied. Short TD runs by Tim Kenville and Braucher combined with two Logan PATs tied the game by the late stages of the fourth quarter. Two plays at the end of games prevented Hoover from an unbeaten championship season in 1984. And coach Ed Glass vividly remembers each one. A Week 8 loss to Alliance was the result of a tipped pass bouncing into the arms of an Aviator receiver as he walked into the end zone. “It was the most unbelievable thing … a fluke thing,” Glass said. Then came the loss to Toledo St. Francis in the state finals when Bill Burns hit a 26-yard field goal near the end of the game. The players remember that kick well, too. Andy Logan got two fingers on the kick, nearly blocking it. Eddie McClintock was near the middle of the field during the play.